Read aloud by broadcaster Lauren Laverne, The Paper Dolls book and CD is a stunning, rhythmical story of childhood, memory and the power of imagination from Julia Donaldson, the author of The Gruffalo, and illustrating talent Rebecca Cobb. A string of paper dolls go on a fantastical adventure through the house and out into the garden. They soon escape the clutches of the toy dinosaur and the snapping jaws of the oven-glove crocodile, but then a very real pair of scissors threatens . . . Enjoy more from Julia Donaldson and Rebecca Cobb: It's a Little Baby and There's an Owl in my Towel. Julia Donaldson is the outrageously talented, prize-winning author of the world's best-loved picture books. She was the UK Children's Laureate 2011-13 and has been honoured with a CBE for Services to Literature. Her books include What the Ladybird Heard, Tyrannosaurus Drip and the modern classic The Gruffalo, which has sold over 13.5 million copies worldwide and has been translated into over sixty languages. Julia also writes fiction as well as poems, plays and songs and her brilliant live children's shows are always in demand. Julia and her husband Malcolm divide their time between Sussex and Edinburgh. Rebecca Cobb is a fast-rising star in children's picture books. Having collaborated on three picture storybooks with Orange-Prize winner Helen Dunmore, Rebecca's solo books include the heart-breakingly beautiful Missing Mummy, the gloriously funny Aunt Amelia and Lunchtime, which won the Waterstone's Children's Picture Book Prize and was shortlisted for the CILIP Kate Greenaway Medal. 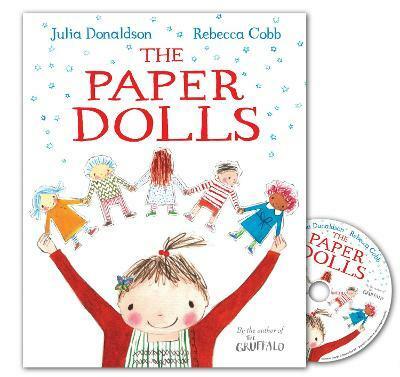 In addition, Rebecca has illustrated picture books written by Richard Curtis, and her stunning artwork accompanies Julia Donaldson's lyrical story The Paper Dolls - also shortlisted for the Greenaway Medal. Rebecca lives in Cornwall with her husband and young daughter.